COMMON SENSE: Between 2010-2012, the IRS was weaponized against the Tea Party to deny them their right to organize as 501-C4 not-for-profit entities. This is no longer in dispute. It happened, and the Obama administration was behind it. That this happened was shocking to most Americans, because no President had ever done anything like this before. Then, it became apparent that the Obama administration was also using the EPA and the NSA in the same way. Now, we are learning that the FBI and the DOJ have been weaponized against a Presidential candidate, a President-Elect, and a sitting President—Donald J. Trump. Because other agencies have been used to target Americans by the Obama administration, denying them their Constitutional rights, we shouldn’t be surprised that the FBI and the DOJ have also been used, but we are. What Obama did—not just Hillary and the DNC—we are so shocked that we simply do not want to admit that something like this could happen—not in the land of the free and the home of the brave; but it has happened. It’s not just Crooked Hillary. This goes straight into the Oval Office, when Barack Obama was President, and his deeds of darkness are being exposed to the light of day. Although the Deep State and the Progressive media will do everything in their considerable power to protect Obama, there is simply too much evidence emerging against him to prevent Obama from being exposed. His days of being respected are nearly over. Richard Nixon will be forced to move aside. Obama’s name is about to become synonymous with Presidential corruption and abuse of power. Just watch. It’s going to happen. COMMON SENSE: Concerning the French election, Obama, who backed Macron, said. “You appeal to people’s hopes, not to their fears.” Although this sounds noble and high-minded, it is the statement of a fool. Nevertheless, the French people bought Obama’s nonsense and elected a man without experience who will have a policy of “Strategic Patience” toward Radical Islamic that will be as destructive to France as Obama’s feckless appeasement was for the United States. “Hoping” that Muslims will behave and assimilate is as worthless as investing in a Ponzi Scheme. Recognizing what the goals and aspirations of Islam really are, is not fear. It is wisdom. It is what discerning men and women do, which Progressive believe they are, but they are not. The French have chosen to invite further destruction upon their nation, which is heartbreaking for those of us who love France. It’s time to begin praying for the French people because they are going to need it. Never Give an Inch to Islam—Never! COMMON SENSE: French Presidential candidate, Marine Le Pen, refused to wear a head scarf when meeting with Lebanon’s Muslim Mufti. This was a requirement for the meeting to take place, so it never occurred. Le Pen refused because wearing the scarf is an “act of submission” in Islam, and she had no intention of being submissive. Politically, millions of potential voters in France, who are sick of what Radical Islam has done to their country, will be thrilled by her refusal. By this simple act, which some will view as being disrespectful, Le Pen has staked out a position and rallied French men and women behind her. Personally, I agree with her refusal. When he was President, Barack Obama routinely bowed to Islamic leaders. Some considered this to be respectful, while others, including me, considered it an act of making the United States subservient to the goals of Islam, which was unacceptably infuriating. Look at the results of Obama’s feckless policies and weak-willed leadership. Islamic leaders, including the terrorists, viewed Obama as timid and tentative and exploited his weakness. Thank God, Almighty God, we now have a strong leader—one who will never make America subservient to Islam. Trump is tasked with cleaning up Obama’s mess, but he’s strong enough to do it. COMMON SENSE: Now that President Trump has his Attorney General, Jeff Sessions, it’s time to begin “Draining the Swamp.” Until Sessions was confirmed and sworn in, this couldn’t happen. In his confirmation hearings, the strategy of Senator Schumer and the Progressives was to vilify Sessions in an obvious effort to discredit him. Without the necessary votes to derail Sessions’ nomination, the strategy was doomed. Although the strategy was mean-spirited and devoid of truth, the idea behind it was a good one. Let me explain. 1. Concerning Fast & Furious, President Obama unlawfully extended Executive Privilege to his Attorney General, Eric Holder. President Trump should rescind this and allow an investigation to commence. Hundreds lost their lives because of Fast & Furious, including a U.S. Border Agent. This scheme to provide guns for the Mexican cartel needs to be exposed for what it is. 2. A thorough investigation of the Clinton Foundation needs to be put on the front burner, with immunity from prosecution revoked for all who have testified fraudulently. I suspect Hillary’s tentacles of corruption will touch many swamp dwellers. Some should end up in prison. 3. President Trump should negate President Barack Obama’s first Executive Order, which effectively closed access to Obama’s past. By reversing this, we will finally be able to see for ourselves exactly who Barack Obama really is for the first time. This Executive Order was enacted because Obama has something to hide. Perhaps what we find will help us undo much of his mischief. By seeking the truth, rather than vilifying people with ad hominum attacks, with the help of the Department of Justice, we can “Drain the Swamp” and fulfill Candidate Trump’s campaign promise. COMMON SENSE: At this time four years ago, while lying about what was really behind the Benghazi attack, Obama’s position was Osama bin Laden was dead, al Qaeda was on the run, and ISIS was the JV team. Believing Obama’s false narrative to be true, Americans continued to deny reality by choosing the more politically-correct position of toleration toward a worldview that is antithetical to ours. We were wrong then and, if we choose Hillary’s perpetuation of Obama’s error, we will continue to be wrong. Even worse, we will sustain repeated attacks for the next four years. This is what will happen, whether you are willing to admit it is true or not. In the past 24 hours, we have sustained attacks in MN, NY, and NJ—all blue states. Radical Islamisists don’t differentiate between the right and left. To them, we are all the Great Satan. Isn’t it time to stand up to these monsters? Isn’t it time to abandon our false narrative and call things what they really are? Isn’t it time to deal with these terrorists harshly and put an end to Radical Islamic Jihadism in America? If your answer to these questions is yes, then you know what you need to do. 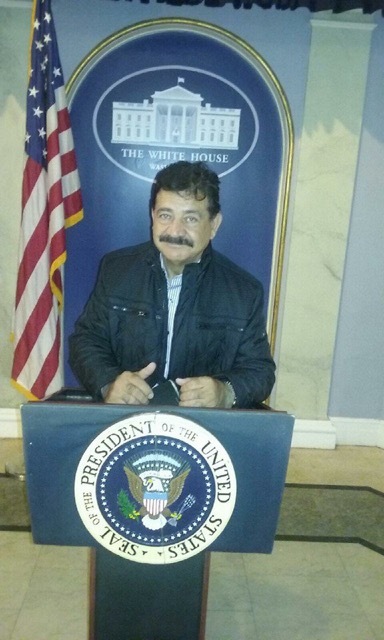 COMMON SENSE: Seddique Mateen, father of the Orlando killer, Omar Mateen, has been a guest at Obama’s White House and Hillary Clinton’s State Department. I wonder what they talked about? The senior Mateen, a supporter of the Taliban, is standing behind the President’s podium in the White House Briefing Room. Apparently, Mateen has been a frequent visitor to the nation’s Capitol. He has held meetings at Hillary’s State Department. Doesn’t this seem odd to you?. Hillary Clinton killed a Department of Homeland Security investigation related to Omar Mateen’s mosque, the Islamic Center of Ft. Pierce—stopped the investigation dead in its tracks. She also made sure that the records were destroyed so that the case couldn’t be reopened. Now, Omar Mateen’s wife, his accomplice has gone missing. But none of this seems to be newsworthy to the mainstream media, does it? All the press is interested in is using the attack to try and take away the 2nd Amendment rights of Americans. Hillary and Obama are using the massacre at Pulse to pound legitimate gun owners. Why isn’t someone in authority taking a look at oddities like this? There is definitely something fishy here, isn’t there? This may well be our domestic Benghazi.